Double Extra Point: From the DXP Archives: Jeffie Husker's "Birth of a Rivalry", Nebraska vs. Colorado Edition, Chapters I - VII. Double Extra Point has moved! From the DXP Archives: Jeffie Husker's "Birth of a Rivalry", Nebraska vs. Colorado Edition, Chapters I - VII. Having problems getting motivated for the game Friday? You really don't think this game means anything, right? Want to be the smartest guy at your game party on Friday? Feel like reliving some (mostly) great Nebraska/Colorado memories? If you answered yes to one of these question, then read on. I thought this would be a perfect time to bring back some vintage DXP from the fall of 2006 on the Nebraska and Colorado rivalry done by the one and only Jeffie Husker. At the time, Jeffie did a series which I'll be rehashing over the next few days leading up to the game on Friday. Very little of what you will read will seem outdated and the majority of this dissertation is timeless. Instead of having to talk to your relatives or if you need an excuse to pretend you are busy, tell whomever that you are in the middle of a gripping novel. A week ago the BlogPoll Roundtable discussion forced me to give some thought as to which team represents Nebraska’s rival. As a Husker fan growing up in the 80s my heart still tells me that Oklahoma should be NU’s major rival. Unfortunately the creation of the Big 12 conference changed the nature of this matchup and another opponent then slid into the traditional Thanksgiving-week slot. That team is obviously the Colorado Buffaloes. With an extra week to think about this year’s game I thought I would take a closer look at this rivalry. In my mind these traits do represent the necessary and sufficient qualities of a college football rivalry. The Nebraska – Colorado series does indeed have a fairly long history and the 2006 contest will be the 65th meeting between the two schools. The series began in 1898 when Coach Fielding H. Yost’s Nebraska squad came away with a 23-10 road win. The series was also as even as one could get early on. Between 1898 and 1961, Colorado held a slight lead in the series history with 10 wins, 9 losses and 1 tie. This balance, however, would not last. In 1962 Nebraska hired the legendary Bob Devaney and the Huskers quickly gained a stranglehold on the CU series. 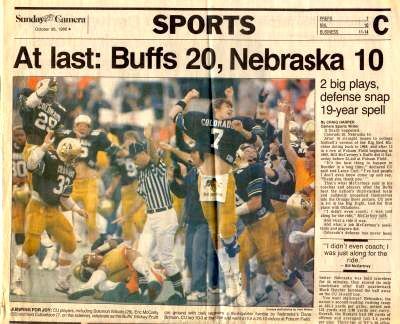 Over the next 24 years Nebraska went 23-1 against the Buffaloes. The lone loss came in 1967 as Nebraska fell 21-16 to CU in Lincoln. In 1982, Colorado made their own program-altering hire in Bill McCartney, who quickly pointed to the Nebraska game as a key contest on the Buffalos’ schedule. However, given the disparity that existed in the series history, it would take a monumental upset to generate the types of strong emotions necessary in a true rivalry. For this particular Nebraska fan, this unforeseen event occurred 20 years ago in Boulder on October 25, 1986. Nebraska entered that game 6-0 and ranked 3rd nationally. Colorado on the other hand, had started the year 0-4 with losses to Colorado State, Arizona, Ohio State and Oregon before knocking off Iowa State and Missouri. Assuming a blowout loomed on the horizon, there was little interest in the game nationally and television networks passed on any coverage of the game. But the Colorado faithful must have sensed something. In what might represent the first of the now commonplace home crowd gimmicks prior to facing Nebraska - former Colorado Governor Richard Lamm declared October 25 to be “Colorado Buffalo Gold Rush Saturday,” and asked students and fans to come out wearing yellow shirts. Once the game started, Colorado got an incredible performance from its defense which held Nebraska to just 123 yards rushing and 246 total yards. The Buffs never trailed in the game and controlled the momentum by successfully carrying out two trick plays. The first was a 39-yard reverse by wideout Jeff Campbell (which can be seen below) and the second was a 52-yard halfback pass from O.C. Oliver to Lance Carl. When the game ended the scoreboard read Colorado 20 – Nebraska 10. It would stay lit that way through the next day. The players from both squads responded just as emotionally. 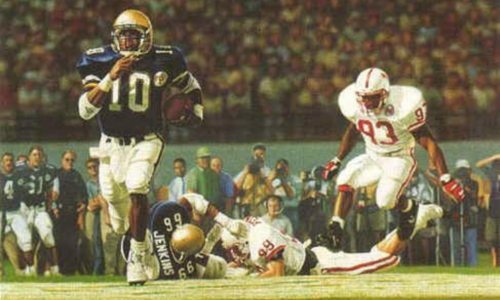 The always loquacious Broderick Thomas declared, “I promise as long as I play at Nebraska, Colorado will never ever beat us again. I raise my right hand and promise you, that they will never beat us again as long as I’m with Nebraska.” He later made good on his promise (but we won’t go into his failed promises a year later against OU). And, thus, a rivalry was born. I’ll have more on the history of the Nebraska – Colorado rivalry in the days leading up to the game. Today we take another look at the rivalry between Nebraska and Colorado. Yesterday we looked at the birth of the rivalry, which began with an upset victory by the Buffs in 1986. Today I want us to back a little farther to 1979. Let’s face it; I was never good at chronology. So what happened in 1979 that was so central to this rivalry? Well, it’s actually what didn’t happen that year that is so significant to the history of Husker football. Let’s start this piece in Boulder, Colorado in 1978. 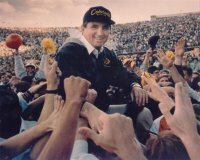 Colorado began the 1978 season ranked #19 in the country. After cruising to a 5-0 start the Buffs reached #13 in the polls. CU then hit the skids losing five of its next six games to finish the year with a 6-5 record. Due to this disappointing finish, the Buffalos decided to fire coach Bill Mallory, who ended his five-year career at CU with a 35-21 record. At this same time in Lincoln, Tom Osborne was in his sixth year as head coach of Nebraska. He had already enjoyed tremendous success at this point in his career. However, he was also 0-5 in his career against Oklahoma. It was during November of 1978, that Nebraska finally managed to beat the #1 ranked Sooners 17-14 in Lincoln. In the Orange Bowl rematch, Nebraska outgained the Sooners in total yardage, but lost, 31-24. So, in Nebraska, the coach is disheartened and in Colorado, the coach is gone. 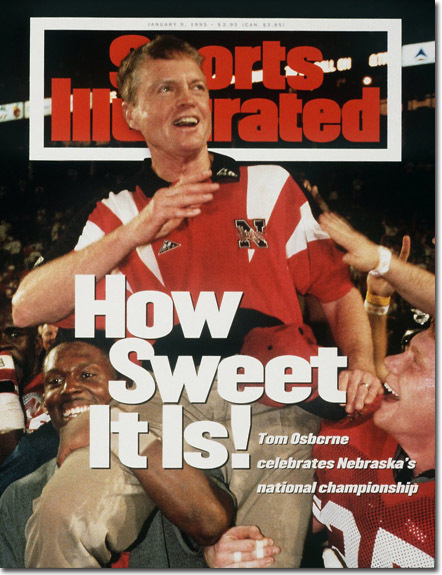 Tom Osborne has stated that he never felt he was a particularly hot commodity in the coaching profession. However, Colorado would come calling following the 1978 season. Osborne and his wife Nancy eventually visited Boulder and found the location and the facilities to their liking. Eventually the only thing that kept him in Lincoln was the loyalty to his players. It is eerie to think just how close we were to losing Osborne. It is eerier still to consider the team we almost lost him to. I cannot even imagine how this would have changed this rivalry, let alone the future of Nebraska football. Who would Nebraska have hired to replace him? Would the Huskers have had to play on Tom Osborne Field in Boulder? I seriously doubt I would be writing this blog had Osborne headed for the mountains. In the two videos below you can watch Parts I and II of Osborne’s appearance on Up Close from 1998. This is Part III of the series examining the birth of Nebraska’s rivalry with Colorado. Today we will be jumping back ahead to the 1989 season. Nebraska had finished the 1988 season with an 11-2 record and a 23-3 loss to Miami in the Orange Bowl. Nebraska’s other blemish was a 41-28 loss to #5 UCLA in Pasadena. The post-bowl rankings placed the Huskers #10 nationally. Nebraska began the 1989 season needing to replace Steve Taylor, a three-year starter at quarterback, as well as several other members of its highly regarded 1985 recruiting class. The Huskers kicked off the season with ranked #4 nationally and were led by captains Doug Glaser, Gerry Gdowski, Randall Jobman and Jeff Mills. Colorado was coming off an 8-4 record in 1988, with three conference losses to Oklahoma State, Oklahoma and Nebraska. The Buffs also lost 20-17 to unranked BYU in the Freedom Bowl in Anaheim to finish the season ranked #14 nationally. Leading the team to its 8-4 mark was junior quarterback Sal Aunese, a Samoan, who had been recruited by Bill McCartney in 1986. Aunese soon became a slick option quarterback for the Buffs, as well as the team’s emotional leader. In March of 1989, Sal Aunese received word that he had inoperable cancer that had spread from his stomach to his lungs. Devastated by the news, many of his teammates cut short their spring-break vacations to join him back in Boulder where he would begin chemotherapy. Back in Lincoln, Nebraska began the 1989 season with four lopsided wins over non-conference foes, Northern Illinois, Utah, Minnesota, and Oregon State. The Huskers then kicked off their Big 8 slate with blowout wins over unranked conference foes Kansas State, Missouri, Oklahoma State and Iowa State. This put Nebraska at 8-0 on the year and ranked #3 nationally as they entered a November 4th showdown with Colorado in Boulder. Colorado decided early in the 1989 season to dedicate this campaign to their ailing quarterback. Emboldened by this emotion, Colorado started the year with three straight home blowouts over unranked opponents, Texas, Colorado State and Illinois. 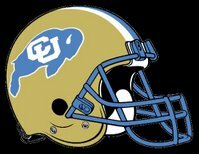 One of the key players in CU’s quick start was the man who had replaced Aunese, sophomore QB Darian Hagan. Despite his inexperience, Hagan quickly showed deftness at the option that few had ever seen before. The early wins had allowed the Buffs to rise to #5 in the rankings as they readied to travel to Seattle to face #21 ranked Washington in two weeks. Exactly one week prior to this match up with the Huskies, during CU’s off-week Sal Aunese died at the age of 21 on September 23, 1989. A week later the still-mourning Buffalos dismantled Washington 45-28 in one of the toughest venues to play in all of college football. Following the big road win, Colorado reeled off four more victories over Big 12 opponents Missouri, Iowa State, Kansas, and on the road at Oklahoma. This led to the November 4th battle between #2 Colorado and #3 Nebraska in Boulder. 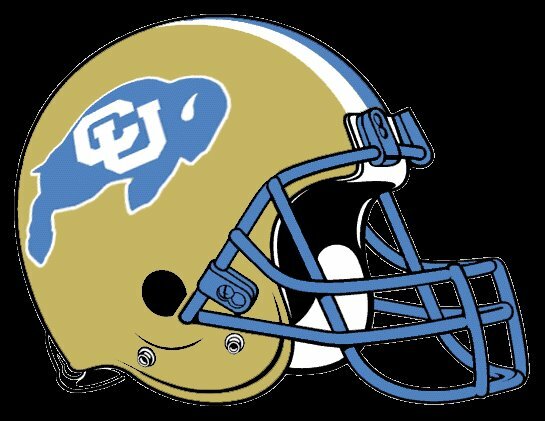 Where the 1986 game put CU on the map, the ramifications of the 1989 game were much larger as both teams had national title aspirations. I don’t remember much about the game itself, but I will never forget one particular play. With one perfectly timed, but extremely late pitch Darian Hagan redefined the option, crushed the will of the Huskers, and escalated the NU-CU rivalry. Thanks to YouTube, the play lives on in infamy. Colorado finished the regular season 11-0 and ranked #1. They eventually met #4 ranked Notre Dame in the Orange Bowl for a shot at the national title. Although the Irish defeated the Buffs 21-6, it was clear that Colorado had arrived as a national power, just seven years after going 1-10. For his efforts, Bill McCartney was named National Coach of the Year. Following the CU game Nebraska bounced back to defeat both Kansas and Oklahoma at home. The Huskers finished the regular season ranked #6 and would meet #5 Florida State in the Fiesta Bowl. In that game Peter Tom Willis torched the Blackshirts for 422 yards passing and 5 TDs in a 41-17 FSU win. • In 1989, Darian Hagan became just the sixth player in NCAA history at the time to run and pass for over 1,000 yards in the same season. He also finished fifth in the balloting for the Heisman Trophy as a sophomore. • Nebraska quarterback Gerry Gdowski led the Big 8 in passing efficiency in 1989, while also rushing for 925 yards and throwing for 1269. He did not finish in the Top 10 of the Heisman balloting. Lombardi (Linebacker): Percy Snow, Michigan St. Here is the continuation of the birth of a rivalry series. Today we look at another game that helped drive the rivalry to new heights. 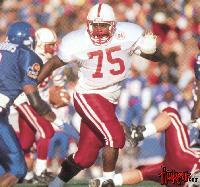 Nebraska began the 1990 season ranked 7th nationally. The Huskers cruised through their non-conference schedule with victories over Baylor, Northern Illinois, Minnesota, and Oregon State. The Big Red then began their conference schedule with wins over Kansas State, Missouri, Oklahoma State and Iowa State. The Huskers were now 8-0 and their closest game was a 13-0 season opening win over Baylor. After defeating Nebraska in Boulder in 1989, Colorado came within one win of a possible national title. As a result, they began the 1990 season with extremely high expectations. Their season started in Anaheim, California in the Disneyland Pigskin Classic against Tennessee, where the Buffaloes tied the Volunteers 31-31. After a win over Stanford, CU went on the road and lost to #21 ranked Illinois 23-22. Following the unexpected loss Colorado ran off five straight wins including the infamous 5th down victory at Missouri. This set up a November 3rd match up between #9 Colorado and #2 Nebraska. The weather in Lincoln for this showdown was rainy, cold and windy. After a slow start by both teams, Nebraska led 6-0 early in the 3rd quarter. NU fans hungry for a national title soon went crazy when the Memorial Stadium scoreboard flashed that #1 Virginia had lost to Georgia Tech. The cheering would continue when the Huskers recovered an Eric Bieniemy fumble at the CU 45. On the next play, Nebraska quarterback Mickey Joseph sprinted down the right sideline, and looked to be about to score. Unfortunately he stepped out of bounds at the 9, despite not being touched by a defender. Nebraska failed to score on the next three plays, and Gregg Barrios then missed a 20-yard field-goal attempt. Nebraska managed to maintain the momentum and two drives later, they drove 80 yards and scored on Joseph's 46-yard pass to Johnny Mitchell for a 12-0 lead with 2:38 left in the third quarter. From that point on Colorado dominated. The Buffaloes drove 71 yards and scored on Bieniemy's 1-yard run with 14:43 left in the game. Colorado then stopped the Huskers and started driving again. Bieniemy had an 8-yard run, which was followed quickly by a Darian Hagan 34-yard pass. Three plays later, Bieniemy scored on a 2-yard run. CU missed on the two-point conversion but led 13-12 with 8:37 left. "I'll probably catch heck for it since it didn't work. I began to see that we weren't stopping them very well, and I thought maybe that was our best chance to move the ball down the field." Six plays later Bieniemy found the endzone again and Colorado went up 20-12. Nebraska’s offense sputtered once more and the Buffs got the ball back. As time ran down Bieniemy scored the final touchdown, his fourth of the day, with 1:20 remaining. When the game ended Bieniemy, who had 161 yards, ran off, grabbed an orange from an assistant coach and held it over his head while facing the southwest corner of the stadium, where CU's fans were sitting. Colorado had defeated Nebraska for the second year in a row and the Buffaloes were headed back to the Orange Bowl. After the Colorado loss Nebraska bounced back to defeat Kansas. Two weeks later, however, the Huskers were dismantled 45-10 by Oklahoma in Norman. At 9-2 Nebraska headed to the Citrus Bowl to face #2 ranked Georgia Tech. Nebraska continued its season-ending collapse and the Yellow Jackets thrashed Big Red 45-21. Nebraska finished the year 9-3 and ranked tied for17th in the UPI poll and 24th in the AP poll. 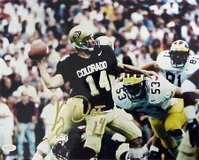 Colorado, which was now ranked #1 met #5 Notre Dame in the Orange Bowl. The Buffaloes got revenge on the Irish by defeating them 10-9. 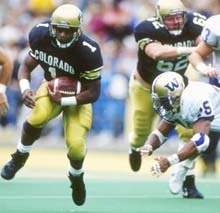 This led to a split national title, in which Colorado won the AP title, while Georgia Tech took home the UPI honor. When the 1991 season began Nebraska was looking to shake off the after-effects of a late-season disintegration that led to a 1-3 finish. 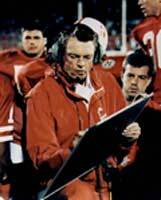 Tom Osborne was also facing criticism for failing to produce a national title since becoming head coach in 1973. Conventional wisdom dictated he couldn’t win big games and his offense was thought to be far too one-dimensional. Despite recent struggles Nebraska began the season ranked #14 nationally, but the team would need consistent play at quarterback if the Huskers were to succeed. Nebraska opened at home against Utah State under the direction of senior Mickey Joseph. Early in the game Keithen McCant spelled Joseph and helped lead the Huskers to a 59-28 win. The following week McCant got the nod and Nebraska cruised to a 71-14 victory over Colorado State. The next week Nebraska faced a tough challenge in #4 ranked Washington in Lincoln. Despite leading 21-9 in the third quarter, Nebraska could not stop the Huskies who escaped with a 36-21 win. After the loss, the Huskers ran off four straight victories over Arizona State, Oklahoma State, Kansas State and Missouri. This meant Nebraska was 6-1 and ranked 9th headed into a November 2 showdown with Colorado. Coming off their first National Championship, Colorado began the year ranked 12th nationally. They kicked off their year with a 30-13 win over Wyoming to set up a date with #23 Baylor. Despite the home field advantage, the Buffaloes never got on track and the Bears left Boulder with a surprising 16-14 win. After a blowout win over Minnesota, CU traveled to Palo Alto to meet Stanford. Although few gave them a shot in the game, the unranked Cardinal took down the Buffalos 28-21, giving CU a disappointing 2-2 start to the 1991 season. Despite the slow start, Colorado quickly regrouped to defeat Missouri, Oklahoma and Kansas State in Big 8 play. This set up a match up between 9th ranked NU and 15th ranked CU in Boulder. Nationally, the rivalry was beginning to garner attention. Despite this, Coach Osborne remained low-key. "I don't believe in having bonfires or trying to psyche the team up with anti-Colorado campaigns or things like that. I've never bought into that philosophy. We've never built up any one team in any special way. A year ago, somehow or another, it got to be that most of the things we did were not of a great deal of consequence because it got to the point with our players where the Colorado game was the whole measuring stick for the season. And then when we lost . . ."
While Osborne attempted to remain unassuming, tight end Johnny Mitchell took upon himself to speak on behalf of the team. "Colorado is just Kansas State or Kansas to me. I don't think they can compete on our level for a long time. We gave them life the last couple years; I don't think we should have given them that much respect." The game kicked off under sub-zero temperatures in Boulder. Nebraska got the ball first and appeared to score on its second play from scrimmage when Derek Brown ran 24 yards for a touchdown, however, it was called back due to an illegal procedure penalty. Aided by a roughing-the-passer penalty on third and 15, the Cornhuskers then continued the drive and scored on Byron Bennett's 27-yard field goal. Colorado then came right back on their first possession and took a 7-3 lead on Darian Hagan's 11-yard TD run, which capped an 11-play, 75-yard drive that featured three completions by Hagan. After the fast start, both defenses settled down and took control. Neither team scored until Jim Harper, who earlier missed a 36-yard field-goal attempt, booted a 27- yarder to put Colorado ahead 10-3 with 6:54 left in the half. This score was set up by Hagan's 27-yard return of a punt from the Nebraska end zone (the starting QB returned punts?). Nebraska then scored its first touchdown on a 49-yard pass from Keithen McCant to Jon Bostick with 1:17 remaining in the half. Unfortunately, Colorado's Greg Thomas blocked the extra point and the ball was scooped up by Greg Biekert, who returned it 85 yards for two points to give the Buffaloes a 12-9 halftime lead (see video). In the third quarter Nebraska’s Byron Bennett connected from 35-yards out to tie the game at 12-12. Unfortunately, Nebraska was still struggling to contain Hagan in the second half. The Buffaloes ultimately took a 19-12 lead on Hagan's 4-yard touchdown run with 27 seconds left in the third quarter. In the fourth quarter Nebraska finally managed to tie the game on Derek Brown's 7-yard scoring run with 6:41 remaining in the game. Very late in the game Nebraska had a final chance to win after driving from its own 46 to the Colorado 23 with four seconds left. Sophomore kicker Byron Bennett, who had already kicked field goals of 27 and 35-yards then came on the field to attempt a game winning 41-yard field goal. Colorado tried to put extra pressure on Bennett by calling three consecutive time-outs and CU fans pelted the field with snowballs before his final kick. When he did try it, Thomas leaped and blocked the ball with his left elbow. The ball rolled out of bounds as time expired. Nebraska, D.Brown 30-96, McCant 8-11, Lewis 1-6, Hughes 1-(-1). Colorado, Warren 17-55, Hagan 19-40, Hill 8-40, Kahl 3-12, Bussey 1-7, Joseph 1-4, Phillips 1-1, Westbrook 1-1. Nebraska, McCant 8-20-0-181. Colorado, Hagan 10-22-0-140, Joseph 0-1-0-0. Nebraska, Mitchell 2-70, Bostick 2-59, Turner 2-32, Garrett 1-12, D.Brown 1-8. Colorado, S.Brown 4-60, Warren 2-35, Westbrook 2-17, R.Smith 1-17, C.Johnson 1-11. The dramatic finish left Colorado, 5-2-1, and Nebraska, 6-1-1, and both were 3-0-1 in the Big Eight with three league games remaining. Colorado ended its conference run with wins over Oklahoma State, Kansas, and Iowa State. Nebraska closed out the Big 8 season with victories over Kansas, Iowa State and Oklahoma to finish the regular season 9-1-1 and ranked 11th nationally. With both teams finishing with identical 6-0-1 conference records the Orange Bowl committee selected Nebraska to go to the January 1st game. The Huskers once again met #1 Miami on their home field. The Hurricanes were bigger, stronger and faster and saddled the Huskers with their first shutout loss since 1973. The Hurricanes earned a share of the national championship with Washington. In a bizarre twist, it was the second straight year that the Huskers lost games to two teams that shared the national title. The Buffaloes settled on an invitation to the Blockbuster Bowl, where they fell to #8 ranked Alabama 30-25. 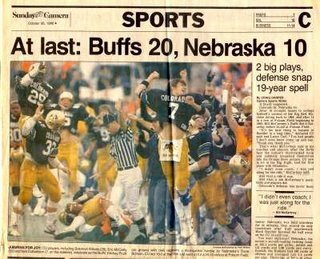 After Nebraska dominated Colorado for 25 years, the Buffalos began to show signs of life in the late 1980s and early 1990s. Beginning with the upset win in 1986, Colorado won 3, lost 2 and tied 1 of the battles with Nebraska between 1986 and 1991. Although Husker fans still identified Oklahoma as Nebraska’s major rival, the Buffaloes were becoming a force to be reckoned with in the Big 8 conference. Nebraska came into the 1992 season hoping to improve on their 9-2-1 mark of a year ago. The Huskers once again found themselves looking for help at the quarterback position. They would begin the year with Mike Grant as the starter. However, both fans and coaches knew that hot-shot recruit Tommie Frazier was available on the bench. Nebraska began the year with blowout wins over Utah and Middle Tennessee State. The schedule got tougher, however, in week three as the 12th ranked Huskers had to travel to Seattle to take on the 2nd ranked Washington Huskies. Washington utilized its edge in the quickness department to defeat Nebraska 29-14. After suffering their first loss, the Huskers bounced back to beat Arizona State, Oklahoma State and Missouri. Nebraska was now 5-1 and ready for a Homecoming date with Colorado. Colorado begin the 1992 season ranked 12th nationally. With quarterback Koy Detmer, the Buffaloes were looking to switch from an option-oriented attack to a pass-first attack. CU began its campaign with easy victories over non-conference opponents Colorado State, Baylor, Minnesota and Iowa. Their conference schedule then kicked off with a tough fought 6-0 victory at Missouri. The following week the Buffaloes hosted unranked Oklahoma and managed to escape with a 24-24 tie. After shellacking Kansas State, Colorado was 5-0-1 as it headed to Lincoln. This game would mark the only meeting ever between two teams tied for the same spot in the AP Poll, as the teams shared the #8 ranking. To add to the frenzy, it was Halloween night and the home crowd was jacked up despite a constant drizzle. Colorado's T.J. Cunningham fumbled the opening kickoff. CU recovered, but then quarterback Koy Detmer threw an interception on the first play. The Huskers needed just 15 yards for their first touchdown. Nebraska’s second score came just as easily as I-back Calvin Jones took a handoff 47 yards on the first play of a drive. Detmer, who had three interceptions and a fumble, threw an interception on the next drive, and the Huskers turned that into a field goal for a 17-0 lead. "I felt great once I got going. I doubt I'll run very often, though. We've got enough quality backs in there." Nebraska went into halftime with a 24-7 lead, and although they had no intention of letting up, the game was over before they took the field for the start of the third quarter. In the end, Nebraska outgained the Buffalos 428-144 on their way to a 52-7 blowout win. The goalposts came down and Husker fans celebrated their first win over a Top-10 team since 1988. The game also marked the Buffaloes' largest margin of defeat since 1983, when they lost by 50. "I guess there's always a temptation when things go your way to say, ‘I told you so’. I've been at it long enough to know you shouldn't do that. But at this locale, with this climate, you've still got to be able to jam it at people some. Colorado's defense was on the field so much. You can only take so much pounding. And they had to take a lot of it because they were three plays and out so much on offense." After its loss to Nebraska, Colorado recovered to win out over Oklahoma State, Kansas and Iowa State. They were 9-1-1 as they headed into the Fiesta Bowl against #6 Syracuse. 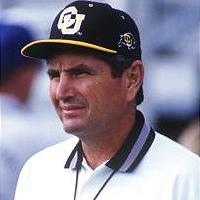 The Orangeman defeated the Buffaloes 26-22 and Colorado finished 1992 9-1-1. The momentum of the win over CU carried over into the following week as Nebraska rolled over #13 Kansas 49-7. However, just when the Huskers seemed to be playing their best along came an unassuming trip to Ames, Iowa and a match up with unranked Iowa State. In what remains arguably NU’s most shocking loss, Marv Seiler and ISU defeated the Huskers 19-10. After the ISU loss Nebraska finished the regular season with victories over Oklahoma and Kansas State in the Tokyo Dome. This finish again sent Nebraska to the Orange Bowl where they would face 3rd ranked Florida State. Nebraska played fairly well, but fell to the Seminoles 27-14. Although the Huskers were big winners against Colorado in 1992, the teams seemed to have pretty similar levels of talent at this point in time. Where the Huskers seemed to lag behind the Buffaloes for a few years prior to this, might things be swinging in the opposite direction? Today the series continues with a look at one of the most highly anticipated matchups between Nebraska and Colorado as the rivalry continues to intensify. Coming off an emotional Orange Bowl effort that fell just short, Nebraska entered the 1994 season ranked 4th. The Huskers began their season early in the Kickoff Classic versus #24 West Virginia, where Nebraska was victorious 31-0. Big Red then cruised to victories over non-conference foes Texas Tech, #13 UCLA, and Pacific. Following the Pacific game Tommie Frazier was taken to the hospital where he was diagnosed with a blood clot in his leg. With backup Brook Berringer forced into action Nebraska defeated Wyoming 42-32. The Huskers then kicked off their Big 8 slate ranked #2 against Oklahoma State. 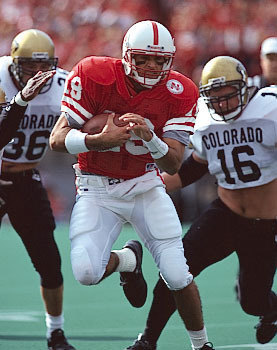 Berringer had suffered a collapsed lung versus Wyoming, but would make the start against the Cowboys. 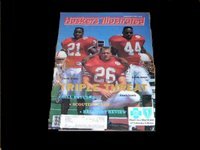 He later re-collapsed his lung forcing third-string walkon Matt Turman to help guide the Huskers to a 32-3 win over OSU. The next week Nebraska went on the road to face #11 Kansas State with Turman as the starter. With Lawrence Phillips carrying the load the Huskers escaped Manhattan with a 17-6 win. The following week Berringer returned to guide Nebraska to a 42-7 win over Missouri. The third ranked Huskers were now ready for a showdown with the Buffs. Colorado entered the year ranked #8 behind a high powered offense led by Kordell Stewart, Rashaan Salaam and Michael Westbrook. The Buffaloes began the season with blowout wins over NE Louisiana and 10th ranked Wisconsin. In week three they traveled to Ann Arbor to square off with #4 Michigan. The hard fought game came down to the final play, when Kordell Stewart completed a last second, 64-yard Hail Mary to Westbrook to defeat the Wolverines in the Big House. The next week the Buffs overpowered Texas 34-31 in Austin. Colorado then opened Big 8 play with wins over Missouri, Oklahoma and Kansas State to set up the highly anticipated match up with the Huskers. The two teams came into the game with the exact same rankings as they had in 1989, as Colorado was #2 and Nebraska was #3 nationally. The game also marked the 200th consecutive Memorial Stadium sellout, and the home fans would not be disappointed. Nebraska scored on their opening drive which was capped by a 14-yard run by fullback Cory Schlesinger. In the second quarter the Huskers added a 24-yard field goal by Tom Sieler and a 2-yard TD run by Clinton Childs. Their efficient offense and stingy defense propelled Nebraska to a 17-0 halftime lead. Statistically the Huskers dominated the Buffaloes in the first half outrushing them 234 to 89. Brook Berringer also out passed his counterpart Kordell Stewart 100 yards to 7. In the third quarter Berringer connected with tight end Eric Alford for a pretty 30-yard touchdown to conclude Nebraska’s scoring. Colorado finally managed to get on the scoreboard on a Rashaan Salaam 6-yard run with 1:06 left in the third quarter. Following a scoreless fourth quarter Nebraska walked off the field with an impressive 24-7 win, which would propel them to the number one ranking. Colorado - Salaam 22-134, Stewart 14-24, Troutman 1-(minus 3). Nebraska - Phillips 24-103, Schlesinger 8-65, Makovicka 3-32, Benninger 8-2, Childs 5-14, Benning 3-1, Muhammad 1-1, team 1-(minus 15). Colorado - Stewart 12-28-0-150, Detmer 1-2-0-9. Nebraska - Berringer 12-17-1-142. Colorado - Westbrook 6-80, Lepsis 2-18, Carruth 2-28, Salaam 2-24, Savoy 1-9. Nebraska - Alford 5-78, Gillman 4-46, Muhammad 2-14, Phillips 1-4. After falling to the Huskers the Buffaloes would finish their Big 8 conference run with wins over Oklahoma State, Kansas and Iowa State. 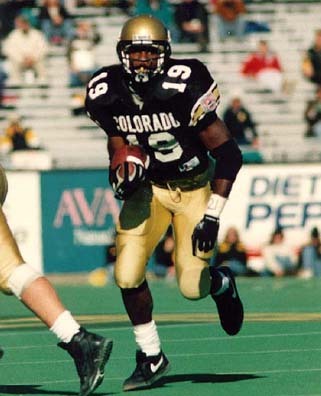 After rushing for over 2000 yards in the regular season, Rashaan Salaam became the first player from the University of Colorado to win the Heisman Trophy. Colorado later accepted an invitation to play in the Fiesta Bowl, where they met unranked Notre Dame. The Buffaloes would defeat the Irish 41-24. Fresh off the victory over CU, #1 Nebraska closed out its regular season with wins over Kansas, Iowa State and Oklahoma. The Huskers then focused on its next challenge, which was facing 3rd ranked Miami in the Orange Bowl. 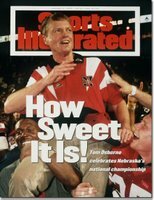 Nebraska would go on to beat the Hurricanes in dramatic fashion giving Tom Osborne his first national title. Zach Wiegert would be named the Outland Award winner for his efforts on the year. In addition, sophomore Lawrence Phillips finished 8th in the Heisman balloting, while Wiegert finished tenth. You can check all of the highlights from Nebraska's 1994 Championship season below. Ever wish you could put on a chin strap and line up at the line of scrimmage? While those days are gone, sports betting brings you closer to the action than ever before. When there's money on the line, it's personal. What games will Nebraska win in 2009? Nebraska: The Best Team in the Big XII North?